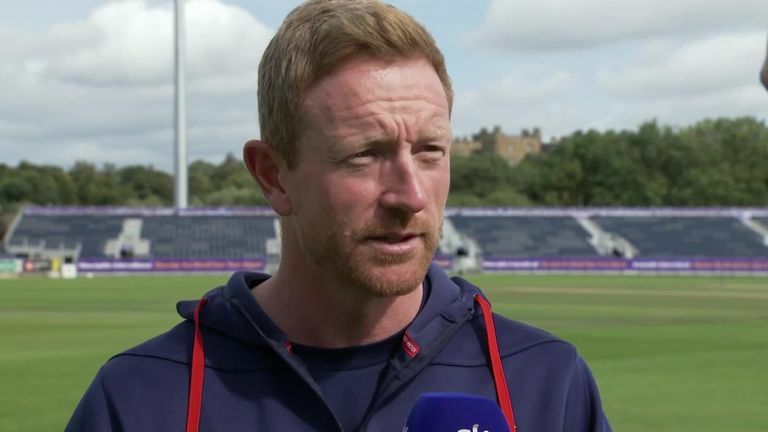 Former England limited-overs captain Paul Collingwood will retire from cricket at the end of Durham's season after a glittering career spanning 22 years. Having made his debut for his hometown county in 1996 featured in nearly 900 matches in all formats, Collingwood will retire after Durham's final County Championship fixture of the season against Middlesex later this month. He said: "I knew this day would eventually come but it hasn't made it any easier. "Although it's an emotional decision, I know that the time is right, and I'm comfortable knowing that I have given every last ounce of energy to the sport. "I have achieved so much with both Durham and England, far more than I ever imagined, and I feel extremely privileged to have had such a long and rewarding career. "It has been an honour to represent Durham County Cricket Club for the last 23 years and I would like to thank the staff, coaches, team-mates and members for their tremendous support and for making my career so enjoyable. "I am excited about what the future holds for me and am looking forward to new challenges." Described by Durham as their "greatest ever run scorer and most illustrious player", Collingwood's contribution to the county was marked earlier this year with the naming of the Paul Collingwood Pavilion. Durham County Cricket Club chairman, Sir Ian Botham, said: "Paul is one of the greatest all-rounders to ever grace the game of cricket and to have him playing at Durham, his home county, for all these years, has been an absolute privilege. "Both on and off the field he has class, intelligence and charm, and it is a testament to his incredible commitment and work ethic that he has been able to compete at the top level for the amount of time that he has. "Colly is Mr Durham and it will be very strange without him but, on behalf of myself and everyone at Durham County Cricket Club, I would like to wish him the very best in whatever the future holds." Renowned as one of the world's best fielders in his heyday, Collingwood has already had a stint as England's fielding coach and is expected to continue his coaching career this winter in some capacity.